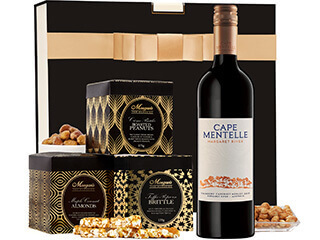 Tantalise his tastebuds, nourish his skin, help him relax with award-winning wine. 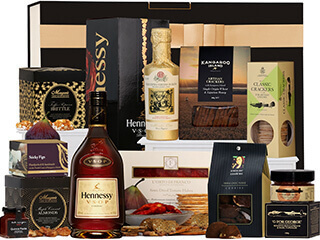 Whatever takes his fancy, we've got the men's gift hamper that's guaranteed make him smile. 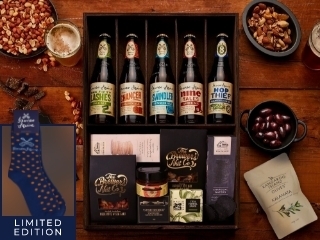 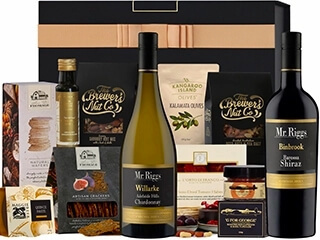 Beautifully presented in our custom hamper gift boxes, our hampers for men are filled with the world's most delicious gourmet foods, amazing craft beer, wine and spirits that he'll savour with every drop. 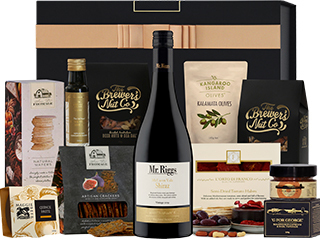 For the man with everything, gourmet gift hampers from The Hamper Emporium are the perfect choice. 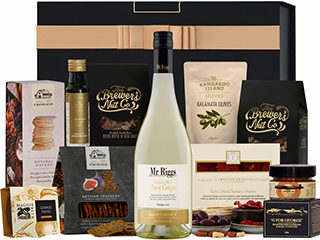 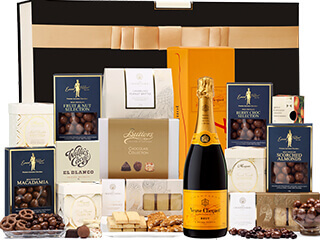 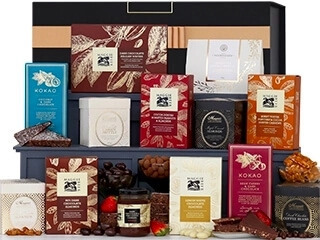 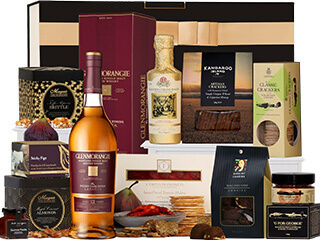 Our gourmet chocolates, international ciders and Australian epicure are sure to appeal for every occasion. Don't forget the Beer and BBQ section where we’ve selected the most refreshing international and Australian craft beers, as well as ciders from both Australia and New Zealand, and paired them with tasty BBQ condiments and nibbles. 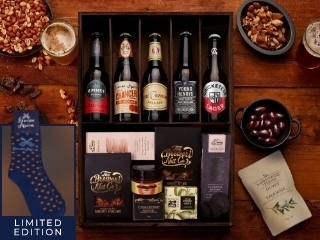 If you're wondering the best occasions for gifting a hamper for men, then we think any time of year is great. 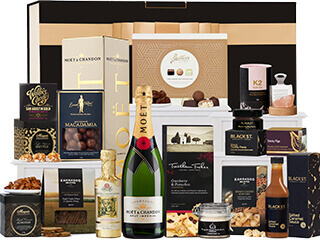 Whether it's a Father's Day gift for him, a men's Valentine's Day gift, or a birthday gift for guys who love luxury; our hampers are backed by over a decade of experience in sourcing the world's best gift ideas. 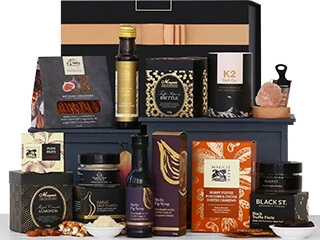 If he's a foodie, or deserves some precious pampering after long days of hard work, then our hampers are packed full of products guaranteed to impress. Want a super special gift idea for him? 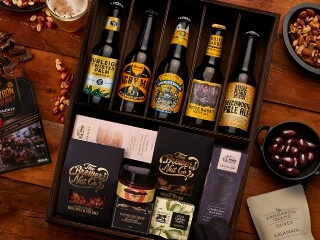 Our personalised gift hampers feature custom embossed leather men's accessories that will leave no doubt in his mind how special he is to you. 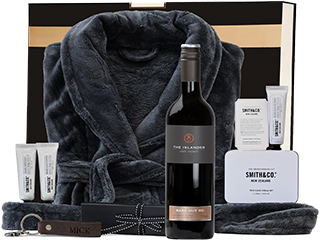 Nothing says 'I Care' quite like a personalised embossed leather wash bag, or custom men's leather keyring, because these special additions make his gift hamper just like him - one of a kind.